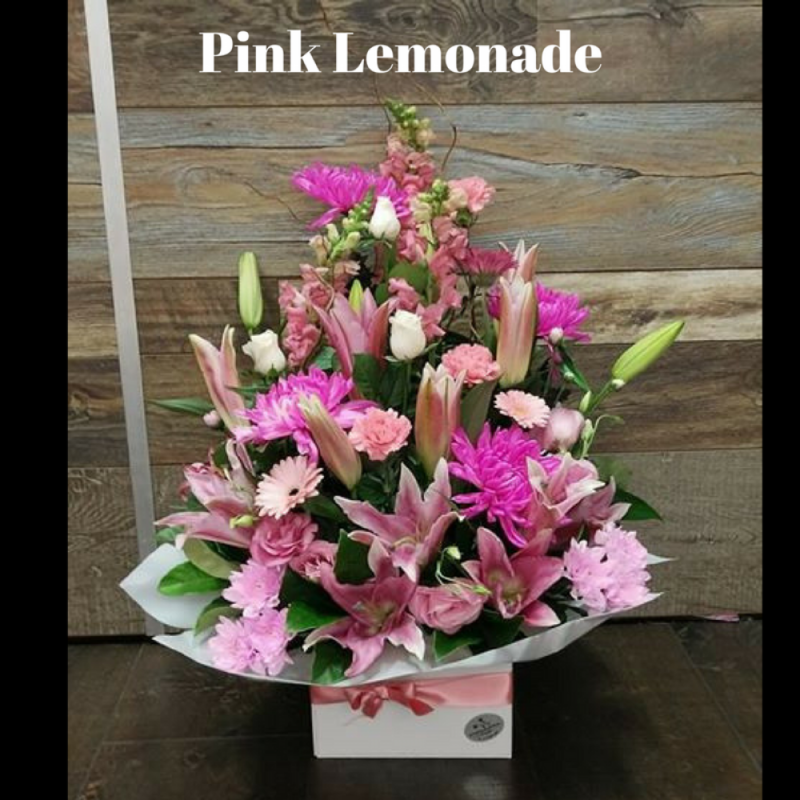 A perfect collection of pink flowers presented in cute floral box. We’ll use the best flowers of the season, which will likely include lilies and gerberas. Deluxe Box is Pictured, Includes Local delivery, please check delivery Tab for our delivery area's.